HEXUS has previously reported on the Nokia 9 penta-lens flagship smartphone. Back in September we heard that it would be delayed until 2019. The story goes that HMD Chief Product Officer Juho Sarvikas decided the phone, as it was, wasn't ready for mass consumption so shifted the launch to early 2019. Now some new information, images of the phone, and renders of phone casing have appeared as we teeter on the verge of 2019. 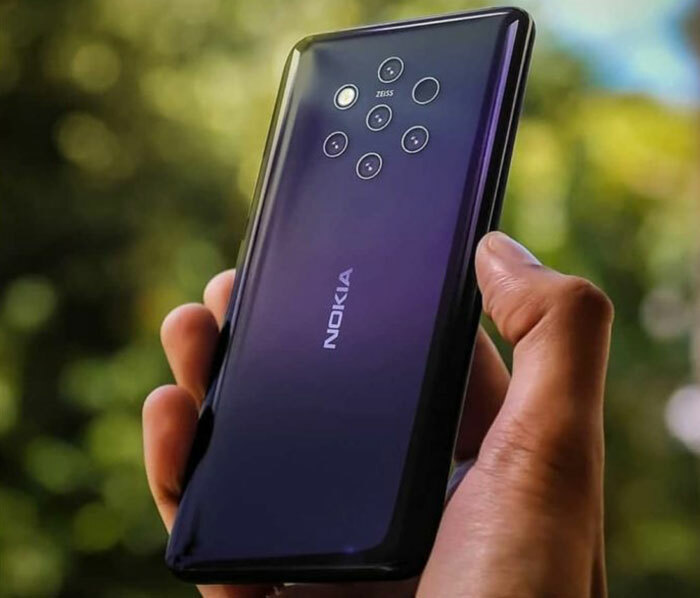 As per the images shared in this article, the stand-out feature of the Nokia 9 PureView is expected to be the penta-lens camera on its rear. We've seen this before, but it is worth explaining again, that the upper left circle is the flash, the upper right contains various sensors but the rest of the array are cameras. On Christmas Eve, Android Headlines shared the main picture, above. 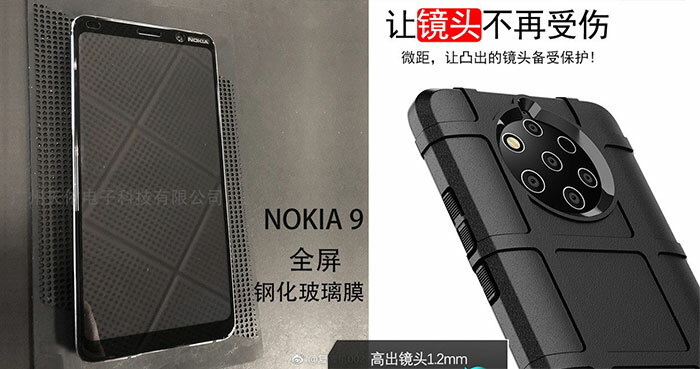 It provided some further details of what is expected in the Nokia 9 PureView design. The device is expected to come packing; a 6-inch screen, at least 6GB of RAM, a battery of at least 4,000mAh, Android 9 Pie, and be water and dust resistant. The processor might need to be upagrded to one of the newest top of the range Snapdragons to keep up with rivals if it launches at MWC in Feb. Earlier today GSMArena also featured the Nokia 9 PureView with a peppering of new information. 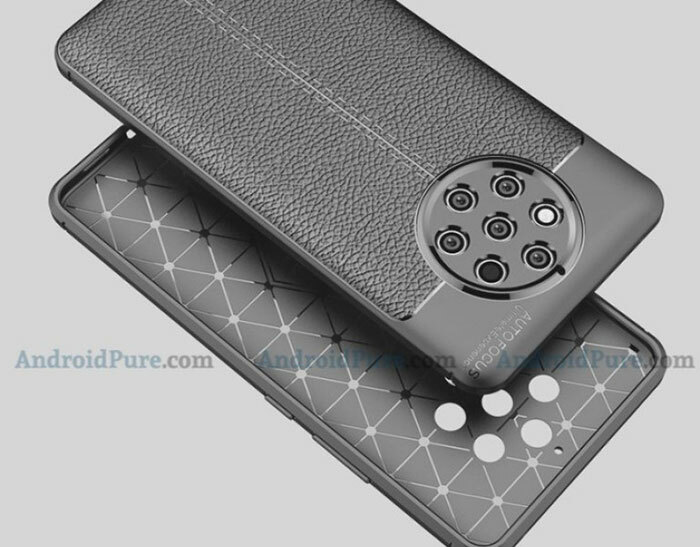 It shared some new case renders for the smartphone - but wasn't sure if they were based on insider information or the previous renders that leaked. GSMArena offers up slightly different specs to those shared by AH, above. Of particular note from this report though, is that it reminds us that there will be three Nokia 9 variants with model numbers TA-1082, TA-1087, and TA-1094 - as they have all been certified for Bluetooth 5.0. If smartphone photography is your thing then it will be good to see a new PureView device at MWC. Others may be more interested in the groundbreaking folding form factors launched/teased by the big Android phone makers at the same event. Lost faith in Nokia a while back, pretty sure this wont change that..
Trig;4052213']Lost faith in Nokia a while back, pretty sure this wont change that..
Why? They're releasing some of the best best budget & mid range phones available at the moment. Build quality is decent, software updates are regular and frequent and prices are stunning. It looks bad, to be honest . Will see in a real life how it perform. Have to see what it looks like in real life but I think it looks better than the Mate 20 Pro just going by the pics. I'm waiting for Apple to release one with eleven cameras….